Welcome to Your New Neighborhood of Falmouth, Massachusetts! Bowen Real Estate services the Falmouth area. Falmouth is a town in Barnstable County, Massachusetts, on celebrated and historic Cape Cod. With a population of just over 30,000 year-round residents, Falmouth is the second most populous town on the Cape, trailing only Barnstable. Falmouth is home to Woods Hole, a vital scientific mecca where several seminal scientific research centers are housed, including the Woods Hole Research Center, the Marine Biological Laboratory (MBL), the Woods Hole Oceanographic Institution (WHOI), and the NOAA Woods Hole Science Aquarium, as well as various influential museums associated with those facilities and institutions. Woods Hole also boasts the Steamship Authority terminal, with ferries to Martha’s Vineyard. Cape Cod as a whole in known for temperate, beach-friendly weather in the summer and cold, wet winters, and Falmouth is no exception. 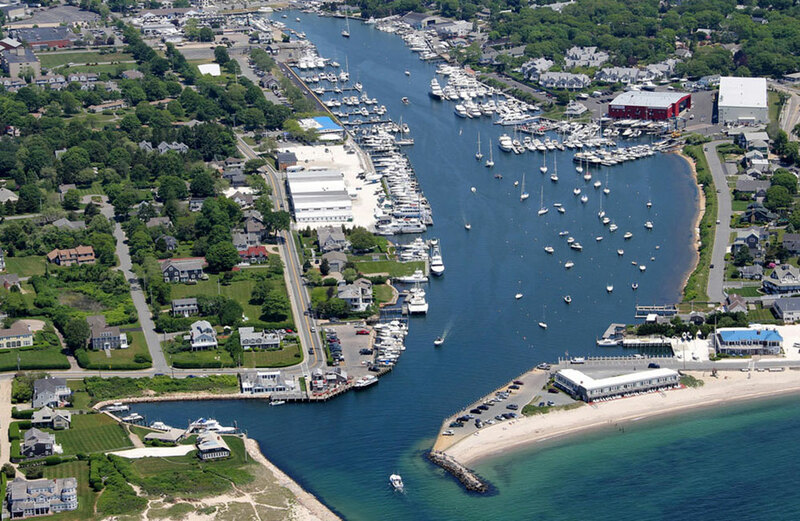 With nearly seventy miles of coastline, ten public beaches, and more than a dozen unique harbors, Falmouth’s access to the ocean is unparalleled in New England. Year-round residents are usually hard to find in the summer, however: they are either cagily blending, or outright hibernating. They surface in their glory in September, with the weather still warm and fair, and the restaurants and beaches a little less busy. While other communities on Cape Cod go to a skeleton crew for the winter, Falmouth stays in business year-round. Historic and compelling architecture, a trademark throughout the northeast, also make Falmouth a beautiful and inspiring place to live. Centuries-old sea captains’ homes: eye-catching clapboard Federal and Georgian have had their historical details painstakingly maintained. A revitalized Main Street is a focal point of today’s Falmouth. Rescued in the last decade from being not much more than a default lane of underwhelming tourist shops, Main Street’s storefronts are now a parade of chic and rising shops, restaurants. The accessible boutiques now cater not only to summer traffic, but also to year-round residents in search of regular necessities such as home furnishings, clothes, and other goods. While Falmouth has gladly and readily embraced a population that is growing younger every year, it continues to actively demonstrate pride in its heritage. Falmouth Museums on the Green provides regular tours of museums from the 1700s. A new cultural center in town hosts a growing number of public enrichment events, including exhibitions, lectures, and even culinary demonstrations. Falmouth also continues to be a family-oriented community with an emphasis on education and successful schools. Both the public high school and private Falmouth Academy maintain exemplary national ratings. Falmouth Academy sits on a broad and picturesque campus and is emulated nationwide for its emphasis on the arts as well as its uncompromising academics. The Cape Cod Theatre Project, hosted at Falmouth Academy, brings national playwrights and theatre directors to Falmouth every summer to produce new and relevant works. An advantage that Falmouth has over some other Cape Cod communities is its relative proximity to the Bourne Bridge, a vital Cape artery. Downtown Falmouth is only about fifteen minutes from the bridge and access to mainland Massachusetts; a little more with traffic. Downtown Falmouth’s Village Green is the heart of a historic district. The green was a training ground for local militias during the Revolutionary War and was a fulcrum as battles began to turn in the favor of the colonies. Preserving history is a priority in Falmouth and Cape Cod in general. Year-round residents are known for activism in support of their history: When Highfield Hall, a 19th century mansion, faced demolition in 1994, residents organized to save the historic structure, which is now a fully restored community and cultural center, hosting events as varied as community classes and weddings, as well as a botanical center and hundreds of acres of nature trails. The housing market is healthy and rising in Falmouth today. The median home value is nearly $600,000, higher than the Cape Cod average, having risen more than five percent in just the last year. Values are expected to rise another four percent in the coming year. Meanwhile, national home values have fallen twenty percent in the last ten years. With more year-round residents than many other Cape Cod communities, Falmouth keeps cultural enrichment and social life a priority throughout the year. A variety of enrichment programs for all ages, including events and programs focused on music, art, recreation, and learning, remain available and promoted even in the relative quiet of winter. Ten miles of bike path are among the most popular recreational opportunities in Falmouth. The Shining Sea Bikeway is named for the well-known line from America the Beautiful. The composer of America the Beautiful, Katharine Lee Bates, was a native of Falmouth. The Shining Sea Bikeway, which begins in North Falmouth and ends in Woods Hole, tours the Cape’s trademark cranberry bogs, as well as coastline, salt marshes, ponds, swamps, and forests. The Falmouth Road Race, which draws more than ten thousand international athletes every summer, has been running for forty-two years and counting. Like the Shining Sea Bikeway, the Falmouth Road Race includes Woods Hole in its circuit: the route, lined with cheering spectators, begins in Woods Hole and ends in Falmouth Heights. Silver Lounge, Casa Vallarta, La Cucina Sul Mare, J.R. Brody’s Roadside Tavern, British Beer Company, Casino Wharf FX, Golden Swan Restaurant (Indian Cuisine), and the popular Quarterdeck Restaurant are among the most sought-after dining destinations in Falmouth. The marquee culinary event in Falmouth, however, is the annual Scallop Festival. The Cape Cod Scallop Festival moved recently to Falmouth from Bourne, has been a standout event for locals and tourists alike for nearly fifty years. It is three days of scallops and other seafood, as well as arts and crafts, live performances, a carnival, a car show, and contests. Because it takes place in September, attendance leans a little more toward local, year-round residents, but it is a very popular bus tour destination. If you are looking to live in one of the places where summer is best, you can’t beat Cape Cod. But it isn’t always summer. And the best option for a prospective year-round Cape Cod resident is historic, burgeoning Falmouth. Falmouth: Falmouth, MA is the second largest town on Cape Cod, but most Falmouthites and visitors still think of Falmouth as a quaint sophisticated seaside village. Falmouth has over 68 miles of ocean coastline (the longest coastline on Cape Cod) and some of the most revered sunbathing beaches on the Cape. Falmouth has a very large diversity of Real Estate price points too. There are lots of diverse housing choices as well, from single family homes, condominiums and townhouses to equestrian estates. Falmouth’s crown jewel oceanfront and water view properties are positioned well throughout the town and are recognized for being very conscious of the environmental concerns that living on Cape Cod brings. Falmouth is the home of the renowned Falmouth Road Race, the 4th of July fireworks display is the best in Barnstable County and 2nd. only to the Boston Pops Fireworks Spectacular at the Esplanade on the banks of the Charles River.